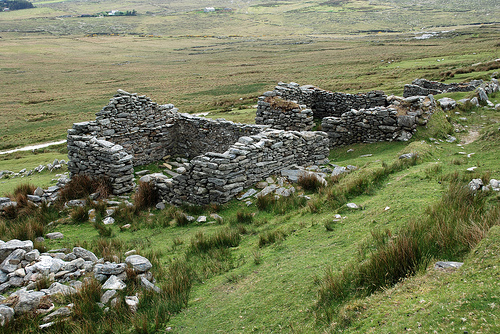 Heinrich Boll’s Irish Journal: Head to Achill Island’s Deserted Village and read Boll’s account of how he came upon this ‘skeleton of a human habitation’ that nobody had mentioned to him and where ‘the elements have eaten away everything not made of stone’. There’s a new edition of Irish Journal out with a fine Introduction by Hugo Hamilton. J. M. Synge Travelling Ireland: Take this book to Erris and read the essays Synge wrote when he visited there in 1905 with Jack Yeats – travelling by long car from Ballina to Belmullet. This edition of the essays – edited by Nicholas Greene, with fine illustrations – was published in 2009. 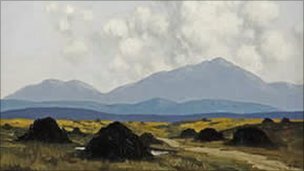 Paul Henry’s An Irish Portrait: Take a boat from Blacksod to the deserted Inishkea Islands off the Mullet Peninsula where Henry travelled while a visitor to Achill in the early nineteenth century and wrote a graphic account of the whaling station. Paul Henry’s book is out of print but is available in many libraries and can be purchased on-line. Michael Viney, Wild Mayo: Take a journey through Mayo’s landscape and wildlife with this wonderful account packed with great illustrations from the writer/naturalist who lives in Thallabawn. Graham Greene, The End Of The Affair: It is sixty years since this book was first published. Inspired by the affair Greene had with Catherine Walston, the cottage they occasionally shared still stands in Dooagh, Achill at the very edge of the Atlantic Ocean. I would love to hear stories of other texts linked to favourite Mayo places.